Many in the sector describe the “the good old days” of non-profit housing as a simpler time. Recognizing a need in their communities, citizens got together and decided to do good by building rental housing for low-income people in need. Government supported their economic and political objectives through program operating agreements that provided funding for community groups to build, maintain and operate housing in exchange for ensuring that low-income people were housed at rents that were affordable to them. Government looked to the community groups to be good social stewards, and implicit in all of this was a promise from government to non-profits – that they would be there to provide the funding that housing providers needed. 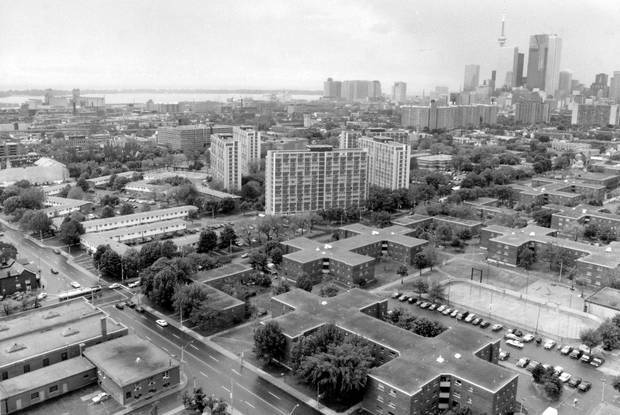 All of that changed when the federal and provincial governments stopped directly delivering housing. Governments shifted away from administering thousands of expensive program agreements. At the same time, there was a growing realization that when it came to housing, prescriptive and targeted programs couldn’t solve unique local problems. As a result of this shift, municipal service managers have become the stewards of housing and homelessness programs, which they operate in conjunction with 10-year plans. Those plans have a place for non-profit providers, but don’t recognize non-profit housing as the only solution. Some service managers, for example, are using housing allowances to help people move off long waiting lists, encouraging them to find housing elsewhere in the community. And, where adequate stock doesn’t exist, condo acquisitions are considered a faster way to add housing stock, rather than waiting years to build. How funding moves to housing providers has changed as well. In the past, capital and operating funding were paid directly to the housing provider. Today, funding flows from the federal government to the provincial government and then on to municipal service managers. Such is the case with the current IAH (Investment in Affordable Housing) Program. The allocation received by the municipal service manager is generally based on population demographics and core housing need data, but more recently, also requires the municipal service manager to file a plan or expression of interest with the Ministry of Housing. The purpose of housing funding has also shifted. At different times, the federal government may have prioritized funding for specific targeted programs – for example, housing for seniors or those with disabilities. Depending on the community, these priorities didn’t always align with local need, making it challenging for those outside specific targeted groups to access the housing supports they needed. Today, flexibility is being built into programs like the IAH. And, despite the comparatively low amounts of funding, service managers have more options on where they can direct the funding, such as building rental housing, providing housing allowances and rent supplements, undertaking renovations and regeneration, and providing ownership assistance. First, it’s important to understand that government still provides funding – just not in the same way as it once did. For example, Ontario’s former Minister of Municipal Affairs and Housing Ted McMeekin recently said in a news interview that the government will no longer fund housing operations. However, both the provincial and federal governments do provide money for energy efficiency. Housing providers that plan for and take advantage of this funding by undertaking energy efficient retrofits can immediately begin to lower their operating costs. There are also private sector-led initiatives and programs that can help providers with rebates and applications if upfront capital outlays are a problem. Second, providers need to think about both the mission and the profitability of their organizations. It is now commonly recognized that non-profit organizations need to shift towards a profit mindset – essentially “profit for purpose” – in order to be less reliant on government assistance. That’s not to say that no government assistance is required, but as providers improve their financial positions, they can achieve greater self-sufficiency and improved potential for growth. To do this well, providers and their boards need to undertake long-term strategic planning. This includes analyzing their various “business lines” to understand which are helping them to achieve their mission and improve profitability – and which ones are not. This may seem like an overly corporate mindset, but in today’s social housing environment, even the Province’s Long-Term Affordable Housing Strategy pushes providers to operate in a more “business-like” fashion. Providers that don’t adopt a more entrepreneurial approach risk getting left behind. And third, providers should not assume that government support will always be available and accessible. In a world where funding doesn’t go directly to providers, but instead “trickles down” to them, providers must consider other sources of capital such as banks and other financial lenders. Lenders will be very particular about good cash flows and ensuring that there are enough assets to cover any debt the organization assumes. Where this is difficult to attain (for example, 100 per cent RGI portfolios), providers will need to explore cost-sharing partnerships with other organizations, or, if it’s the right time, consider a merger. Here again, strong, long-term strategic planning can make an crucial difference. Today’s housing sector has moved away from directly delivered programs to local, municipally-based systems with long-term plans. In response to this shift, ONPHA has refocused its services to help members adjust to a new era in non-profit housing. ONPHA’s new 2016-2019 strategic plan will help ensure that we can continue to support members. The community-based non-profit housing model remains relevant because of its sensitivity to local needs and perpetual affordability. Together, we must ensure that housing providers have the tools and skills they need to evolve in a changing sector.